2007-04-02. New. Ships with Tracking Number! INTERNATIONAL WORLDWIDE Shipping available. Buy with confidence, excellent customer service! 2004-12-02. New. Ships with Tracking Number! INTERNATIONAL WORLDWIDE Shipping available. Buy with confidence, excellent customer service! Random House Large Print Publishing, 2005-12-01. Hardcover. Used:Good. 2004-02-04. New. Ships with Tracking Number! INTERNATIONAL WORLDWIDE Shipping available. Buy with confidence, excellent customer service! Vintage Books, London. PAPERBACK. 0099481324 Brand new book.Buy with confidence. Money Back Guarantee.Expedite Shipping Available. International shipment available. . New. 2006-09-14. New. Ships with Tracking Number! INTERNATIONAL WORLDWIDE Shipping available. Buy with confidence, excellent customer service! 2007-09-03. New. Ships with Tracking Number! INTERNATIONAL WORLDWIDE Shipping available. Buy with confidence, excellent customer service! Knopf. Used - Like New. Knopf, 12/28/2004, Hardcover, Like New condition. Like New dust jacket. 2005-06-09. New. Ships with Tracking Number! INTERNATIONAL WORLDWIDE Shipping available. Buy with confidence, excellent customer service! 2006-09-14. Good. Ships with Tracking Number! INTERNATIONAL WORLDWIDE Shipping available. May not contain Access Codes or Supplements. May be ex-library. Shipping & Handling by region. Buy with confidence, excellent customer service! Random Shots and Southern Breezes, Containing Remarks on the Southern States and Southern Institutions, with Semi-Serious Observations on Men and Manners. New York: Harper & Brothers, 1842. . 230pp. + publisher's ads at rear. 2004-02-04. Good. Ships with Tracking Number! INTERNATIONAL WORLDWIDE Shipping available. May not contain Access Codes or Supplements. May be ex-library. Shipping & Handling by region. Buy with confidence, excellent customer service! Alfred A. Knopf. Hardcover. 1400042127 New Condition. . New. Vintage. MASS MARKET PAPERBACK. 0307387992 New Condition. . New. Vintage Uk. Hardcover. 0701178051 New Condition. . New. Random House Large Print Publishing. Hardcover. 0375435484 New Condition. . New. Alfred a Knopf Inc. Hardcover. B008H13SDU New Condition. . New. 2007-09-03. Good. Ships with Tracking Number! INTERNATIONAL WORLDWIDE Shipping available. May not contain Access Codes or Supplements. May be ex-library. Shipping & Handling by region. Buy with confidence, excellent customer service! 2007-04-02. Good. Ships with Tracking Number! INTERNATIONAL WORLDWIDE Shipping available. May not contain Access Codes or Supplements. May be ex-library. Shipping & Handling by region. Buy with confidence, excellent customer service! 2005-06-09. Good. Ships with Tracking Number! INTERNATIONAL WORLDWIDE Shipping available. May not contain Access Codes or Supplements. May be ex-library. Shipping & Handling by region. Buy with confidence, excellent customer service! CITIC Press Corporation, 2013. Paperback. As New. Disclaimer:An apparently unread copy in perfect condition. Dust cover is intact; pages are clean and are not marred by notes or folds of any kind. At ThriftBooks, our motto is: Read More, Spend Less.Dust jacket quality is not guaranteed. New York: Knopf. Hardcover. 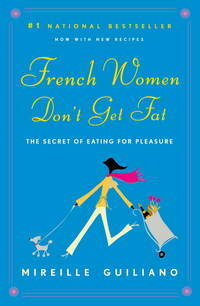 1400042127 the secret of eating for pleasure without showing it. a worthy read and the pointers and tips are pleasant bonus. . Fine. 2005. First Edition. VINTAGE. New. 8 x 5.28 cm. Chatto and Windus. First UK edition-first printing. Hardcover. Fine/Near fine. Fine/Near fine.Chatto and Windus,2005.First UK edition-first printing(2 4 6 8 10 9 7 5 3 1).Yellow hardback(gilt lettering to the spine,small nick on the edges of the spine) in fine condition, with Dj(very small tear,nicks and crease on the edges of the Dj cover,two ink marks on the back of the Dj cover) in near fine condition.The book is as new with light shelf wear on the Dj cover.281pp including index.Price un-clipped. Chatto & Windus, 2004-12-02. Hardcover. Used:Good. Alfred a Knopf Inc. Hardcover. B008H13SDU Like New Condition. . Fine. Alfred A. Knopf. Hardcover. 1400042127 Like New Condition. . Fine. Random House Large Print Publishing. Hardcover. 0375435484 Like New Condition. . Fine. Vintage. MASS MARKET PAPERBACK. 0307387992 Like New Condition. . Fine. Vintage Uk. Hardcover. 0701178051 Like New Condition. . Fine. New York, New York: Alfred A. Knopf, 2005. Hint of crimp at tail of spine. DJ with very slight rubs at corners. DJ in plastic cover. Inscribed and signed "Cheers, Mireille" on title page.. Signed by Author. Later Printing. Hard Cover. Fine/Near Fine. Illus. by R. Nichols. Vintage, 2007-12-26. Reprint. Mass Market Paperback. Used:Good. Alfred A. Knopf. Hardcover. 1400042127 New Condition *** Right Off the Shelf | Ships within 2 Business Days ~~~ Customer Service Is Our Top Priority! - Thank you for LOOKING :-) . New. Knopf. Used - Very Good. Ships from the UK. Former Library book. Great condition for a used book! Minimal wear. 100% Money Back Guarantee. Your purchase also supports literacy charities. Knopf. Used - Good. Ships from the UK. Shows some signs of wear, and may have some markings on the inside. 100% Money Back Guarantee. Your purchase also supports literacy charities. Alfred A. Knopf, 2005. Stated first edition.This title has been through more than 25 U.S. printings. Very nice copy.. First Edition / First Printing. Hardcover. Near Fine+/Near Fine+. Knopf, 2005. Hardcover. Very Good/very good. Inside text unmarked. Chatto & Windus. First UK edition-7th printing. Hardcover. Very good/Very good. VGC plus.Chatto and Windus,2005.First UK edition-7th printing(8 10 9 7).Yellow hardback(gilt lettering to the spine,small nick and ink mark on the edges of the spine and cover) with Dj(very small tear,nicks and creases on the edges of the Dj cover,two ink marks on the back of the Dj cover), both in VGC plus.Nice and clean pages with small ink marks and light shelf wear on the outer edges,a couple of small creases on the edges of the pages.The book is in VGC with light shelf wear on the Dj cover.281pp including index.Price un-clipped. Knopf, 2005-02-01. 13th Printing . Hardcover. Fine/DJ fine. excellent condition, doubtful if read, DJ some shelf wear. Knopf, 2004-12-28. Hardcover. Like New. Looks new, price clipped from inside front cover.